Four years ago, Judith and her best friend disappeared from their small town of Roswell Station. Two years ago, only Judith returned, permanently mutilated, reviled and ignored by those who were once her friends and family. Unable to speak, Judith lives like a ghost in her own home, silently pouring out her thoughts to the boy who’s owned her heart as long as she can remember—even if he doesn’t know it—her childhood friend, Lucas. But when Roswell Station is attacked, long-buried secrets come to light, and Judith is forced to choose: continue to live in silence, or recover her voice, even if it means changing her world, and the lives around her, forever. This startlingly original novel will shock and disturb you; it will fill you with Judith’s passion and longing; and its mysteries will keep you feverishly turning the pages until the very last. Near impossible. That's what I figured the odds were of my coming across a YA novel that could surprise me, could go so far off the beaten path that I wouldn't even know how to handle it. I'm being dramatic, but I can't help it. 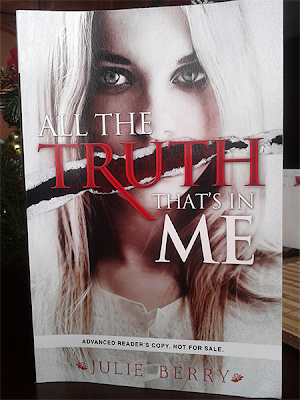 All The Truth That's In Me was the YA book to change the idea of what the YA genre COULD be. This book was deliriously original, and had me congratulating the author on every page for what she dared to accomplish, and then achieved, with flying colours. All The Truth That's In Me is, without a doubt, one of my favourite YA reads of the year. Judith Finch is mute, for reasons she dare not attempt to share. After disappearing for two years, Judith returns to a town of strangers. She is scorned and treated like the village idiot. Even her own mother, her flesh and blood, refuses to provide the comfort and acceptance that Judith craves. In a narrative told through second-person, and in verse form, Judith speaks to the only light in her life, her childhood friend, and her heart's only desire, Lucas Whiting. In an astonishingly beautiful form of slow revelation, the readers, the town, and Judith are given access to truths that will stop their hearts, and create feelings that will shock them, haunt them, and eventually..set them free. All The Truth That's In Me was set in the past, which was a jolt to the system in it's own right. I have grown so accustomed to reading YA novels set in present day, or far, far into the future. It isn't indicated, but I would guess that this book took place in the late 1800's. 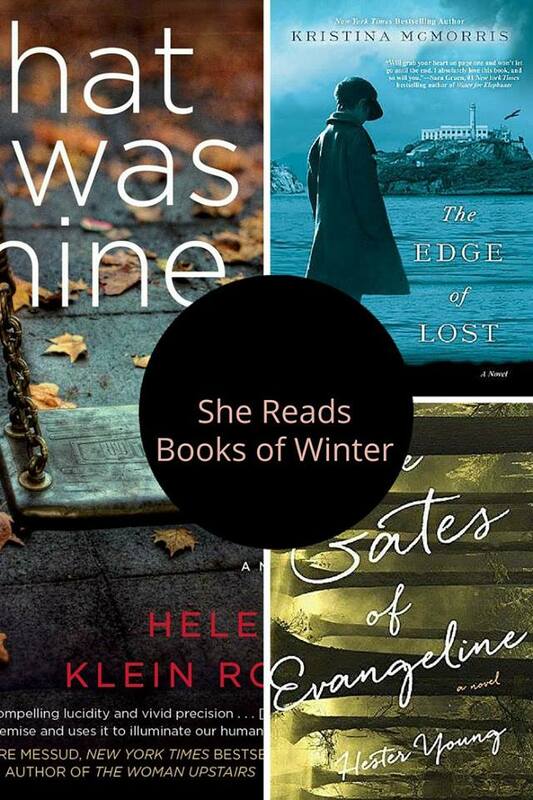 If historical fiction isn't your forte, this may not be the book for you. But if a solid, overwhelmingly good storyline is your thing, I beg you to reconsider picking up this book. I grew so attached to Judith's character, her silent voice resonated with me louder than characters I read who could actually speak. I was drawn to her quiet determination, her unrelenting love for someone she thought she had no right loving. There was the most intense URGE to know her story, to find out what happened to her, and then to help her bring all of the wrong-doers to justice. I want to write about every single character in this review, but I will stop at Judith's immediate circle. I loathed Judith's mother, and have never felt more inclined to throw large, heavy things at a character's head. Julie Berry did a fantastic job at creating an atmosphere of both tension, and of love. Tension with the people who misunderstood Judith, and the love with the ones we knew were genuinely interested in her well-being. There were TINY times when I wanted to shake the main character, tell her "look! these people CARE, can't you see!?". But even that was done beautifully, and with the right amount of build-up. The romance in All The Truth That's In Me was worth every second of the wait, and I do believe it's one my favourite romances in a YA book. It was one that blossomed in spite of things, and even as I write this, there are warm feelings growing inside of me. It all happened so perfectly. I can't even count the amount of times I happy *sighed*. All The Truth That's In Me is a book that needs to be spotlighted everywhere. It needs to be known that there is YA fiction out there that unlike any other YA fiction you will ever read. Pick it up for yourself, pick it up for a friend, this is not a book to miss out on! 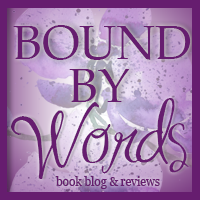 Recommended for fans of: YA Fiction, Historical Fiction, Controversial issues, Romance. oh wow I did not know this book was set in the 1800s.. it had such a "modern" feel. I am glad this book was different and surprised you in a good way. I went to the penguin preview a couple of months ago and they had this title there and the synopsis just intrigued me. This is definitely back on my radar now! sounds like quite the cool book - intriguing cover! This book really does sound surprising and refreshing. Especially with the rare second-person style. And I like this cover a lot better than the other one I've seen. Thanks for the review--looking forward to reading this one!